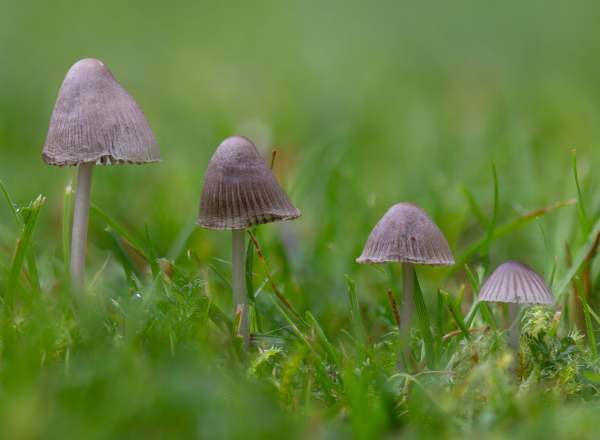 Some of the bonnet mushrooms, Mycena species, and beautiful as individuals - for example the Rosy Bonnet Mycena rosea; others grab attention because they fruit in impressive arrays, and Mycena inclinata is one of these. But there is a host of other bonnet mushrooms which, at best, are merely 'interesting' because they tend to occur in unusual habits, such as sprouting from twigs on standing trees. And then there are the dull ones, of which Mycena aetites is outstanding because of its extreme drabness - well named Drab Bonnet! 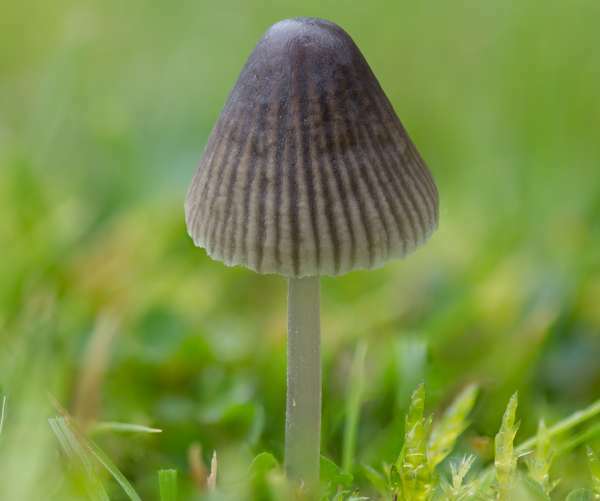 As you might expect from its English name, the Drab Bonnet is a dull little mushroom and easily missed; however, it is an occasional find throughout Britain and Ireland and could appear wherever cropped grassland is not treated with high doses of herbicides, insecticides or fertilisers. This species is widespread across northern and central mainland Europe, but in most countries it is far from common. 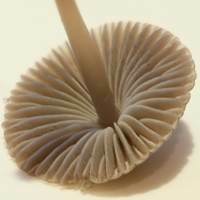 Mycena aetites has not, as far as I know, been recorded in North America. 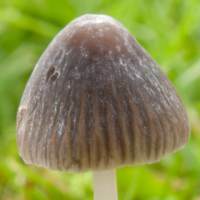 The basionym of this species was defined when, in 1838, the great Swedish mycologist Elias Magnus Fries described the Drab Bonnet and named it Agaricus aetites. Famous french mycologist Lucien Quélet transferred this species to its present genus Mycena in 1872, thereby establishing its currently accepted scientific name Mycena inclinata. 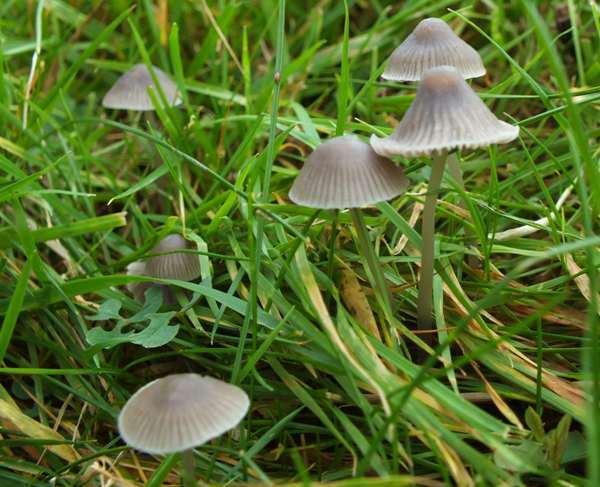 Synonyms of Mycena aetites include Agaricus aetites Fr., Mycena umbellifera (Schaeff.) Quél., Agaricus consimilis Cooke, Mycena consimilis (Cooke) Sacc., and Mycena cinerea Massee & Crossl. The specific epithet aetites may refer to the aetites or aetite, a stone used to promote childbirth. It is also called an eagle-stone. Seen from above these little mushrooms could be mistaken for small stones, but probably not by an eagle! 0.5 to 2cm across; conical, becoming bell shaped and eventually broadly umbonate; smooth; striate when moist; dull grey-brown. Adnate with a decurrent tooth; grey with a whitish edge. 3 to 4.5cm long and 0.5 to 1mm in diameter; colour as the cap but slightly darker towards the base; no stem ring. 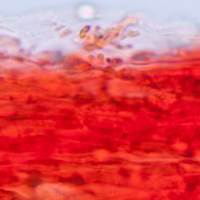 Hyphae of the pileipellis are 2-4.5µm in diameter, with simple or complexly branched cylindrical excrescences. Clamp connections present throughout. 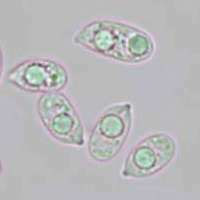 Cheilocystidia smooth, fusiform, up to 75µm long with finger-like extensions often at both ends. 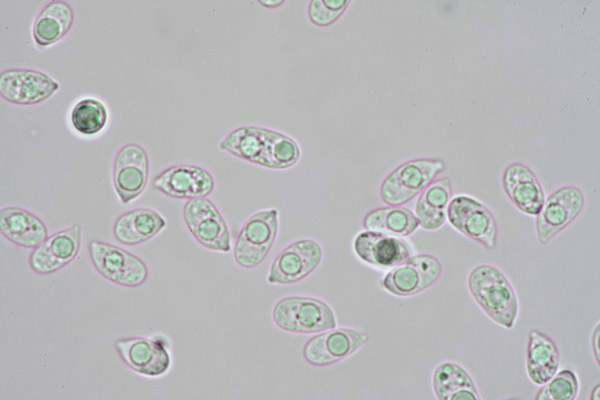 Pleurocystidia are abundant and similar in form to the cheilocystidia. Pip-shaped, smooth, 9-10 x 5-5.5µm; amyloid. Odour faint, of bleach (ammonia) or of radish; taste not distinctive. Saprobic, in grassy leaf litter and in short grass, often in mossy lawns where waxcaps also appear. There are many other smallish, bell-shaped fungi in the Mycena genus and they are difficult and sometimes impossible to identify without microscopic examination; however, the diminutive size, grassland habitat and drab colouring of Mycena aetites at least help separate it from most of the larger wood-rotting bonnet mushrooms. Although some field guides suggest that these little mushrooms may be edible, others express doubts. 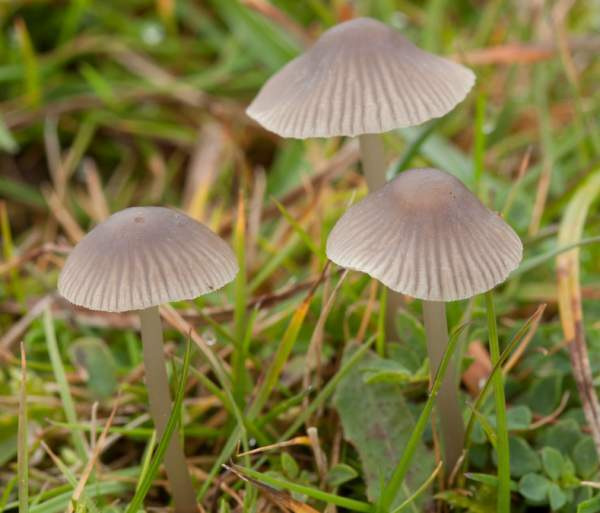 They are insubstantial and certainly not highly prized edibles, and so we recommend that the Drab Bonnet is not considered as an edible mushroom.